Mobile apps have transformed the way we interact with our smartphones and tablets. If you’re looking for a quick way to access your bank accounts, a tool to make you more productive while on the move, or a game to help pass the time while you’re waiting for a bus, there’s an app for that. In fact, with over 1 million apps on Google Play, for instance, there are often thousands of options to choose from in each app category. The fact that many can be downloaded in a matter of seconds means that you’re only ever moments away from installing a tool that could bring innovative new functionality to your mobile device. However, the simplicity of the download process can also be your worst enemy. 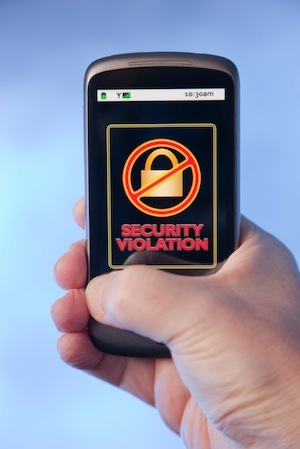 Have you ever stopped to consider what dangers may be lurking within that free app? Many apps have been developed by unscrupulous minds intent on a range of activities that could put you at risk - from stealing your identity to capturing your bank account details. A little extra caution can go a long way to help you stay protected. As Con Mallon, Senior Director – Consumer Mobile Product Management at Symantec, points out below in his three top tips for app security and says that there are a number of telltale signs on Google Play designed to provide transparency about an app’s credentials. Don’t hit the ‘install’ button too quickly. For Android apps, you will be presented with a list of ‘permissions’ that the app developer is requesting for the app. If a lot of permissions are being asked for, take a minute to think, do you think that the app really needs all of this? Mallon also points out that additional tools are available to help you decide which apps you can trust. Available for Android devices, Norton Spot scans apps before you download them, watching out for signs that it may be insecure. For example, it can warn you that an app will leak your personal information, excessively use your battery or have annoying, intrusive behavior. With this tool in place, you can decide which apps to trust before you install them. I've been using the Norton Spot app alongwith the Norton Mobile Security application on my android device Samsung Galaxy Duo Core. I've found that Norton Spot provides an additional functioning to the Norton Mobile Security package. I make sure that any application I download on the device goes through the Norton Spot test. Norton Mobile Security package is highly recommended for android phone users. Android users should also try Norton Halt that can be downoaded from the Google Play store and use the many functions it offers that might be necessary for individual use.